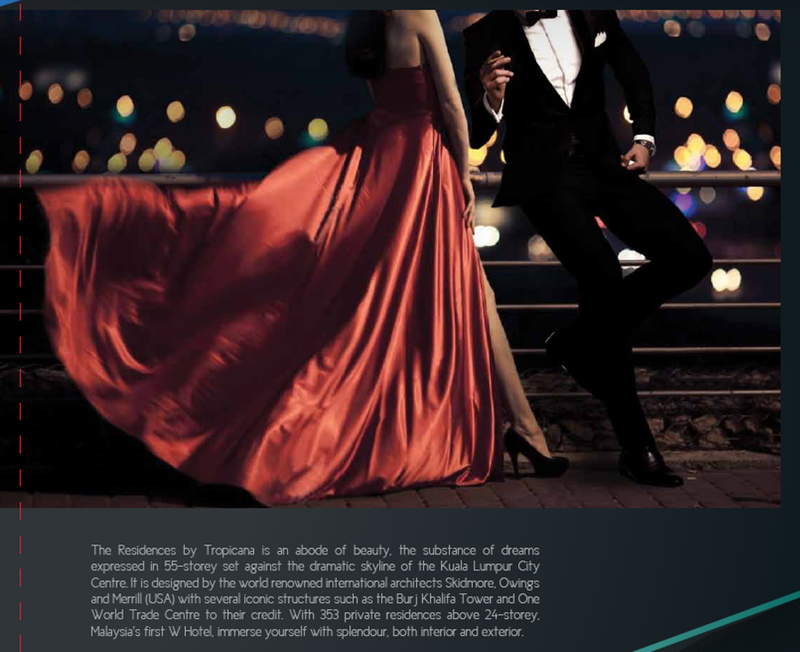 I've got my eye on you, Tropicana Residences...more on that in a bit. Please accept my apologies for my radio silence. I've had trouble readjusting back to London time and my schedule even though it's been a week since I've been back. I guess at the grand old age of 28 I can't handle jet lag like I used to or perhaps I still have vestiges of the 'holiday blues' having just spent a blissful month in South East Asia - Hanoi, Bangkok, Borneo, Kuala Lumpur - away from the bitter English winter. And how blissful it was! For the last two weeks of my winter break, which coincided with the start of the Year Of The Goat, Henry joined myself and my family for Chinese New Year (an exclusive invitation I've extended to no other men in my life, mind) and during this most significant of Chinese festivities Henry immersed himself into my culture; learning how to say 'Xin nian kuai le, gong xi fa cai, wan shi ru yi' (with an impressive accent for a first-time Mandarin speaker - my father teased that Henry speaks better Mandarin than I do), how to properly do the Prosperity Toss (he wished for a new pair of shoes while flipping the yee sang, and bam, the next day I gifted him a shiny new pair of red Doc Martens), and Henry even got a Chinese name - Nana christened him 马亨利 - Ma Heng Li (Henry Horse). It's funny - so many talented and affluent Malaysians of my generation - jaded by the restrictions of their home country, the lack of room to grow, and eager to spread their wings and fly - choose to study abroad and if the opportunity arises for them to stay overseas they seize it and resolutely seek to plant roots in their new city (like yours truly). For the longest time my patriotism (and I am very patriotic - I can still sing the national anthem, my state song, and recite the Rukunegara (National Principles) was met with disappointment at the seemingly stagnant state of things in Malaysia. Naturally, my parents (as all Malaysian parents do) have been trying to convince me to follow the conventional route of every intrepid Malaysian who studies abroad - that is, to say goodbye to the excitement of living in a metropolitan world centre, and move back to Kuala Lumpur to accept a destiny more mellow. To this end, my parents have bribed me with the promise of property in Malaysia. 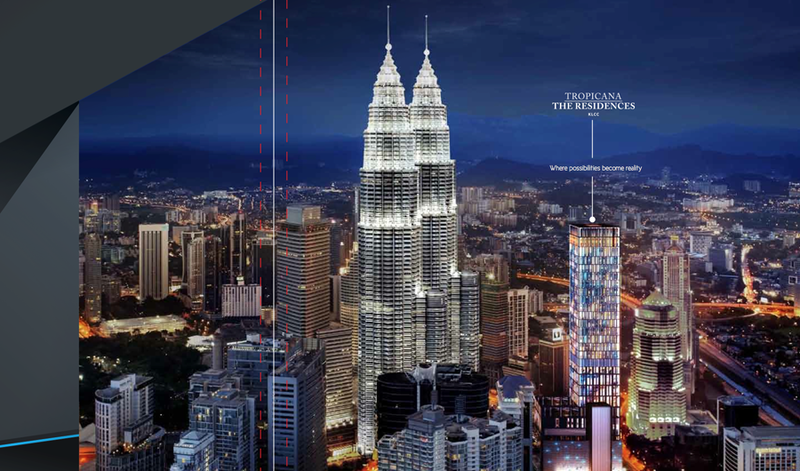 My mother has promised that if I return to Kuala Lumpur she'll buy me a condo in Mont Kiara. My father has tried to tempt me with a country house just outside the city, and from time to time they remind me of the new apartment in Borneo and a couple of houses in the suburbs. Now they don't even waste their time trying to convince me to move back to Kuala Lumpur. They just go directly to Henry - my parents will lavish, spoil, and pamper him; then my father will (very cunningly) turn to Henry and say "Isn't life in K.L so much better than life in London? Chauffeurs, fine-dining, VIP treatment, air-conditioning...Couldn't you just see yourself living here?" then give me a pointed look. HA! Henry mused: "I don't know, Kuala Lumpur is great but I haven't yet seen any horses" (he loves horses) to which my father leaned in, raised an eyebrow, and said: "You'll get all the horses you can ride if you can convince Jasiminne to move home." Well, well, well! To be honest, I do love London but I'm finding a renewed appreciation for Kuala Lumpur. Perhaps it's that I've seen my city through Henry's eyes, or that as I get older I care less for glamourous Western decadence and prefer stability, or maybe it's because in the past decade or so K.L has really upped the ante and is beginning to catch up with the rest of the world. I spend about a quarter of my time in Malaysia anyway, so even if I'm not looking to move back anytime soon, it might be worth looking into finding myself a base in Kuala Lumpur. 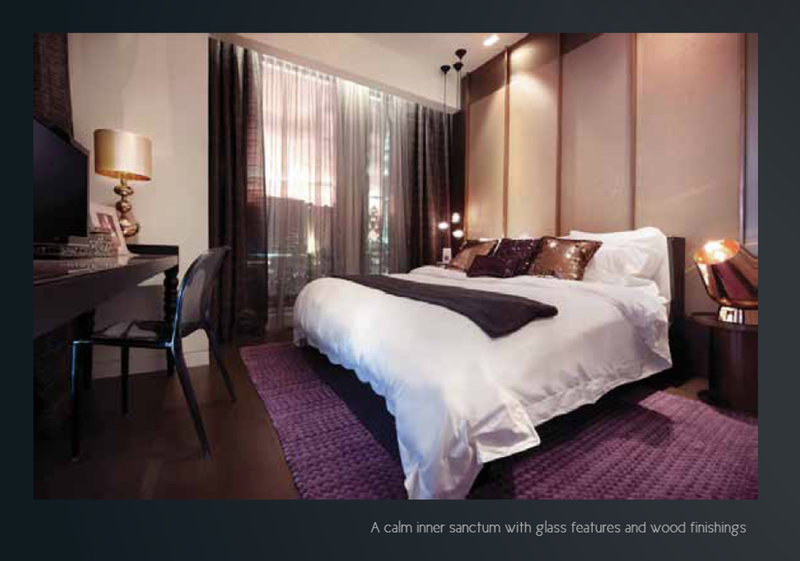 As I get older I've been adding more London property to my portfolio, why not a place in Kuala Lumpur, too? I consider myself a business traveller - I work for my father in the region, I have clients in Malaysia, and of course I return to K.L for certain social events. The ambitious nature of my family has finally caught up with me! I am now addicted to living and working in the fast lane! I need to be close to action and vibrancy of the capital city. Somewhere I can work hard and play hard, and be Audaciously Yours. I think I've found just the place. 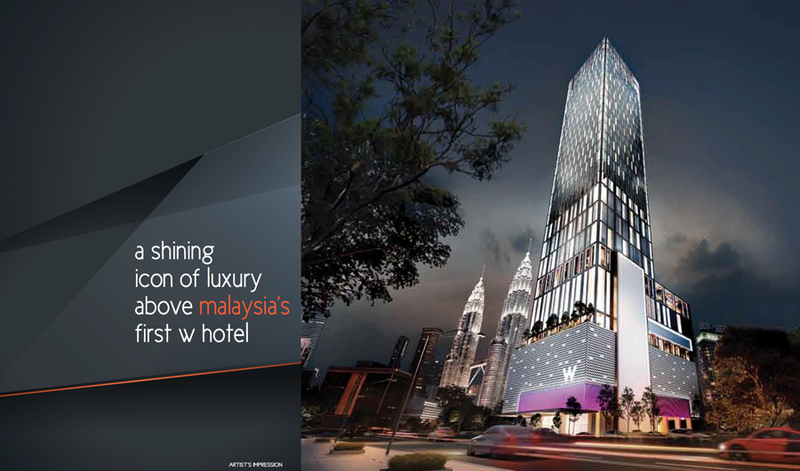 I'm talking of course about 'The Residences' by Tropicana, above Malaysia's first W Hotel. 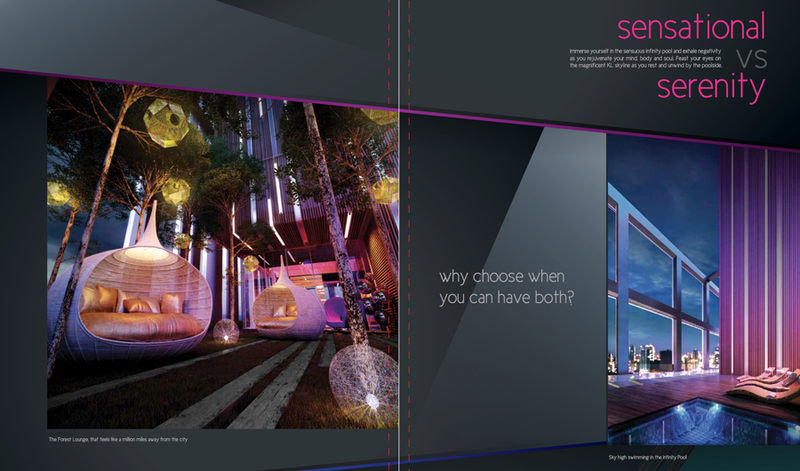 And yes, of course it comes with an infinity pool, aqua gym, sky forest and room. A prerequisite of any luxury residence worth its salt. Erm, tell your dad I'll happily take up his offer and relocate to Malaysia. He can adopt me! Haha. But seriously, your life is very blessed. Although, the place in Battersea sounds lovely too! Can't wait to see what you think of the new residences!